A year before the movie came out, I had the honor of meeting and profiling a real Monuments Man, Harry Ettlinger, for the Times. 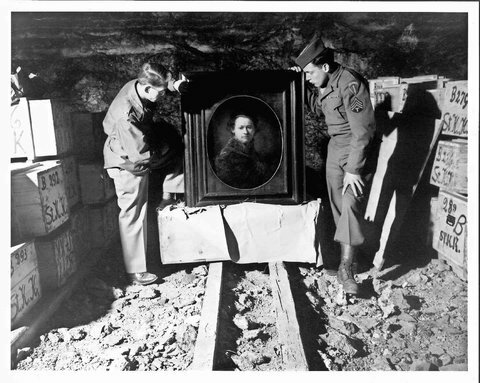 He’s on the right, holding the Rembrandt, in this picture taken for a 1946 report (and kindly provided to us by The American Jewish Historical Society.) There’s a character in the movie based on Harry. The book it’s based on is gripping, so if you’re interested in World War II or art in the slightest, you’ll probably enjoy both. 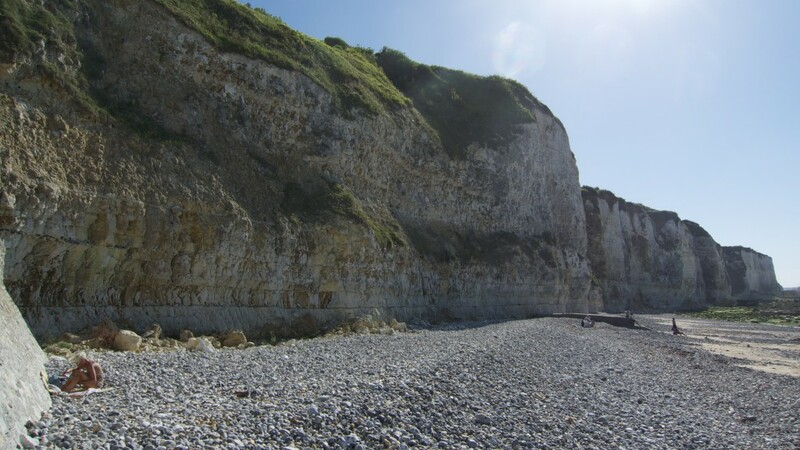 The cliffs at Puys, looking east toward Dieppe. Last week I spent several days in Dieppe, a Norman resort city, for the commemoration of the 70th anniversary of a terrible event there: the Dieppe raid, a disastrous Allied attack on the Normandy coast on August 19, 1942. I’ve got a personal connection to Dieppe: my father, an American volunteer fighting with Canada’s Black Watch Regiment, landed on the beach you see above and was among the 1,950 Canadian prisoners taken that day. Please check out my two pieces for The New York Times about all this! Dad’s story–and my journey–is here on At War, the Times’ military blog. There’s audio from my father and another veteran, and video, too. This Dieppe Journal is about the commemoration and the history of the battle itself. After two failed escape attempts, and several other brushes with death in captivity, my father made it home in 1945. He considered himself lucky: of the roughly 5,000 Canadians who landed at Dieppe, only about 2,000–roughly a third of them–made it back that day. More than 900 Canadians were slaughtered almost immediately; and again, nearly 2,000 were taken prisoner. So that makes me very lucky too. More to come. Someone suggested this photo MIGHT be from a Swedish lookbook for Spring ’11. Understandable! 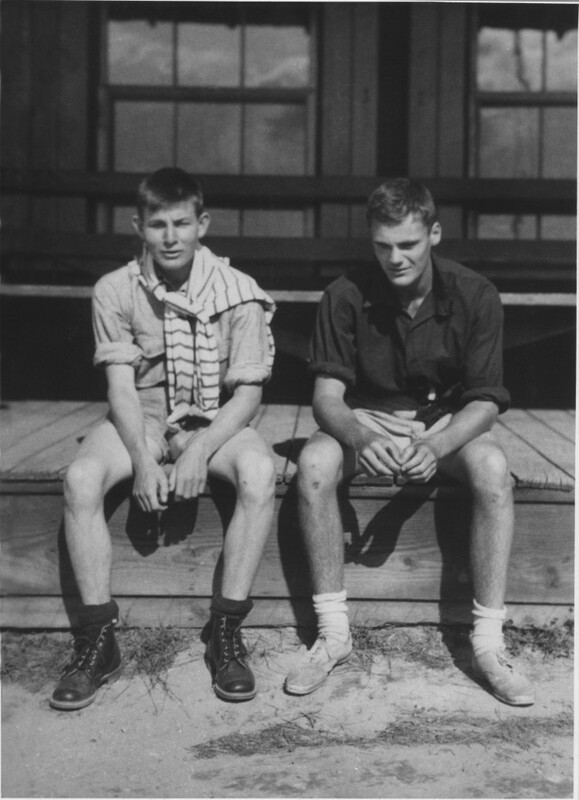 But it’s my father, Frank Parker (left) and his childhood friend Robert Lowell, taken when they were camp counselors during the summer of 1934. And it accompanies this essay I wrote about their friendship for The Poetry Foundation. The two were close until Lowell’s death in 1977. For decades Lowell has had a very two-dimensional public image of having been difficult and crazy and generally not nice. But my father and many, many others who knew him well didn’t think of or remember him that way. There’s also an accompanying audio podcast–an interview with me about the piece–that’s called Re-branding Robert Lowell. The tape I write about at length is in there: so please click, read and listen! 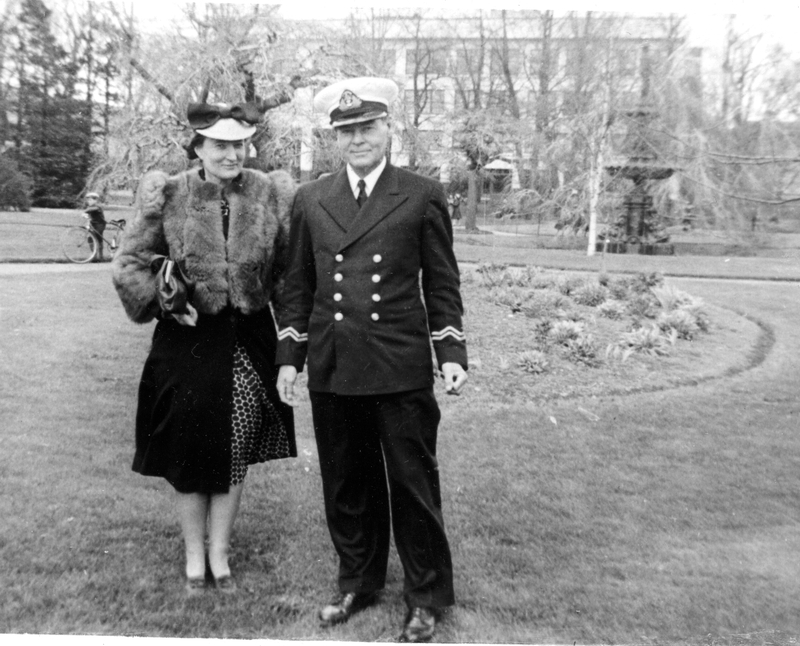 My grandparents shortly before he shipped out: Halifax, Nova Scotia, 1941. I’ve signed up to do some interviews for a book called Passport Not Required: US Volunteers in the Royal Navy, 1939-1941. It’s about 22 Americans who joined up–illegally– with the British before the US entered World War II. My grandfather was one of them. The book got a great review in the Wall Street Journal. It’s the work of three authors –who worked for years to track down these men and their life stories. Listen to me and one of them, Eric Berryman, on The Takeaway on November 11th.